World of Final Fantasy is the latest Final Fantasy game released for PlayStation 4 and PlayStation Vita. The game has amazing stylized visuals with traditional turn-based gameplay. We know this gameplay style from previous Final Fantasy games that utilized Active Time Battle system. 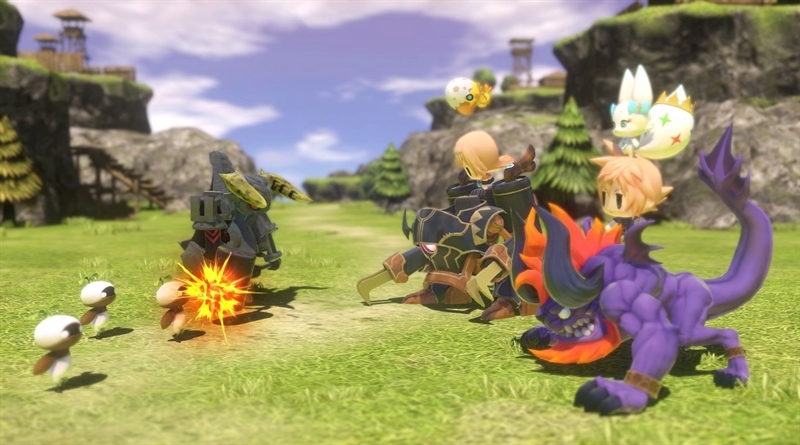 World of Final Fantasy features Grymoire, a fantasy world, populated by unique classic monsters and characters from Final Fantasy game series. It is worth mentioning that all these monsters and characters do not have any ties to any previous games in the series. The story features Lann and Reynn. These are siblings who suffer from amnesia. They both have a special power to wield monsters of Grymoire called Mirages. In the game you will have an epic journey where you will try to recover their memories. And in all this drama you will master your powers and, ultimately, fight a bigger conflict. World of Final Fantasy is one of the best game releases for October 2016, check out Top 10 Best Games of October 2016, to learn more about other games releasing this month. In World of Final Fantasy Walkthrough, we will present you a complete game with beginning to the ending moments including some strategy and gameplay tips. CGInfernoBlast created these walkthrough videos and I hope you guys will enjoy it. Watch the remaining walkthrough videos on the next page.